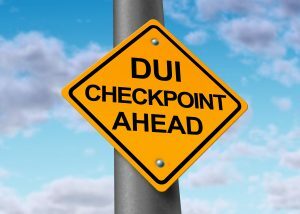 Every now and then, and often during holiday time like New Year’s Eve coming up, the police in Florida and other states will set up DUI checkpoints in strategic areas of the city. These checkpoints are normally located down the street from a popular bar or other area where people often drink alcohol. Florida law does not allow the police to just set up a checkpoint at any time whenever and wherever they want. The police have to plan their DUI checkpoints and follow certain rules for a checkpoint to be legal. For instance, the police must get approval in advance, they must establish certain written rules for the checkpoint, the checkpoint can only last for a certain period of time and they must follow all of those rules during the checkpoint. The police cannot just use their discretion to pick and choose which drivers they are going to stop. They must stop drivers based on a predetermined plan. For instance, the police can decide to stop every fourth vehicle, but they cannot use some arbitrary criterion to stop vehicles as they go. Assuming the police establish proper rules and follow them, they are allowed to set up DUI checkpoints and stop drivers as they come through to determine whether they are driving under the influence of alcohol or drugs. Checkpoints and road closures for other purposes do not have to follow those same rules. For instance, in a DUI case just outside of Jacksonville, Florida, the police had blocked off the road for an air show and set up a checkpoint where only certain authorized vehicles could pass. The defendant approached the checkpoint in his vehicle, rolled down his window and asked the police officer for directions. The police officer noticed that the defendant smelled of alcohol and slurred his speech and he saw an open container of alcohol in his vehicle. The police officer stopped the defendant, investigated further and arrested the defendant for DUI. The criminal defense lawyer filed a motion to suppress the evidence of the defendant’s impairment arguing that the police officer conducted a checkpoint that did not establish the rules necessary for a proper DUI checkpoint. The court disagreed because this was not a DUI checkpoint. The police were not stopping drivers as they approached to check them for DUI. They were only stopped and asked to turn around because they were not allowed to pass. Because this was not a normal DUI checkpoint where some drivers were checked for potential impairment, the police were not required to have written, specific rules for the checkpoint. As a result, the police officer was entitled to investigate further for a potential DUI arrest when the driver appeared to be drunk driving.